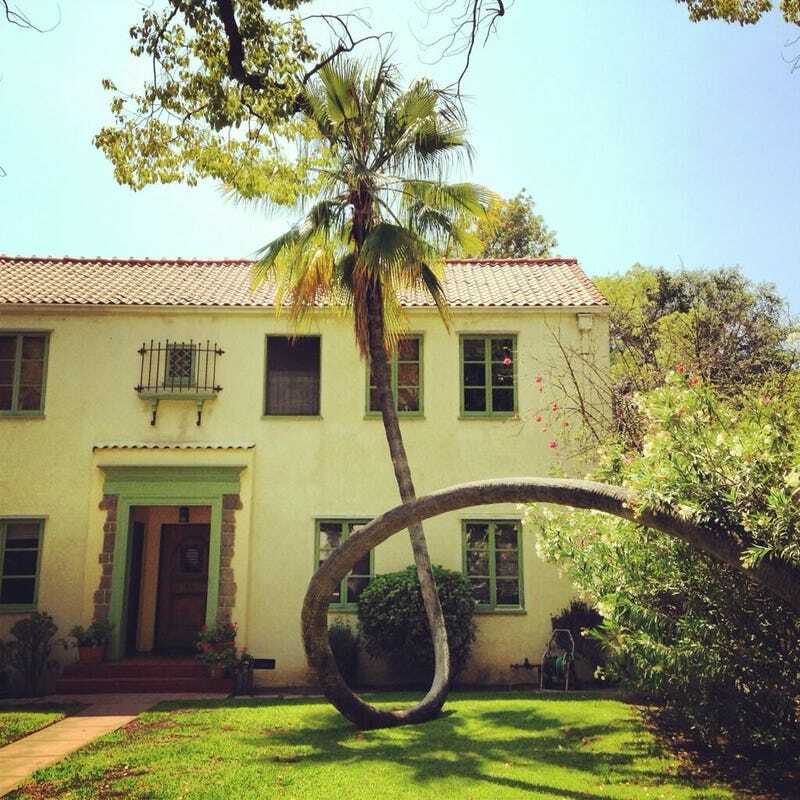 Trees of this species (Washingtonia robusta) don't often have trouble deciding which way is up; they usually grow into the vertically oriented "skyduster palms" that punctuate L.A.'s horizontal skyline. But something disrupted this specimen's development. Only when it plunged toward the ground and touched the earth again could it reset its trajectory and take its proper place in the Southern California sky. When I visited the tree with a KCET production crew (for a forthcoming video series on Southern California's tree history), the owner of the house confessed that she's watched the tree's growth with interest since moving there in the 1980s. Then, it had only begun its vertical recovery. It might be the most remarkable palm tree I've ever met. And the experts agree; Donald R. Hodel featured it in his 1988 book, Exceptional Trees of Los Angeles.